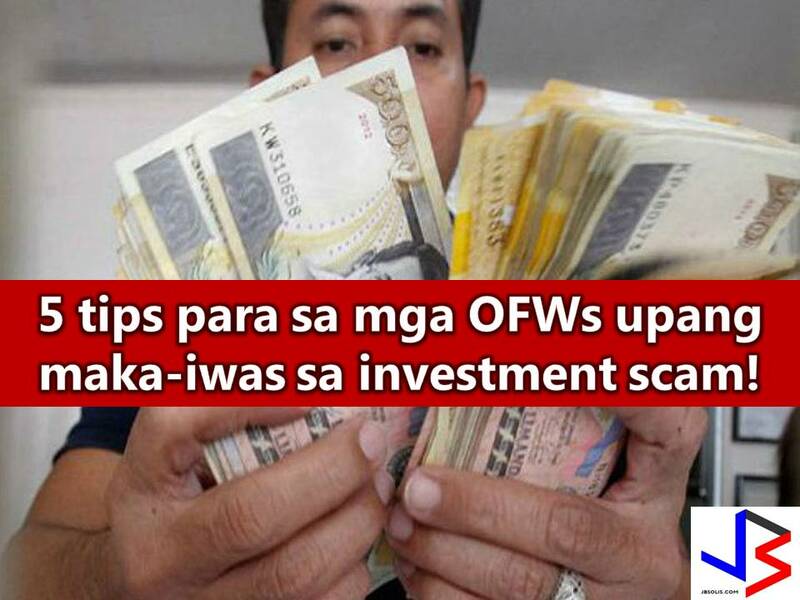 Before getting excited about how much money you can get from a certain investment, make sure it is legit and not just another pyramiding scam in the internet preying anyone else, especially Overseas Filipino Workers (OFWs). As they said, "If it is good to be true, it is not true". 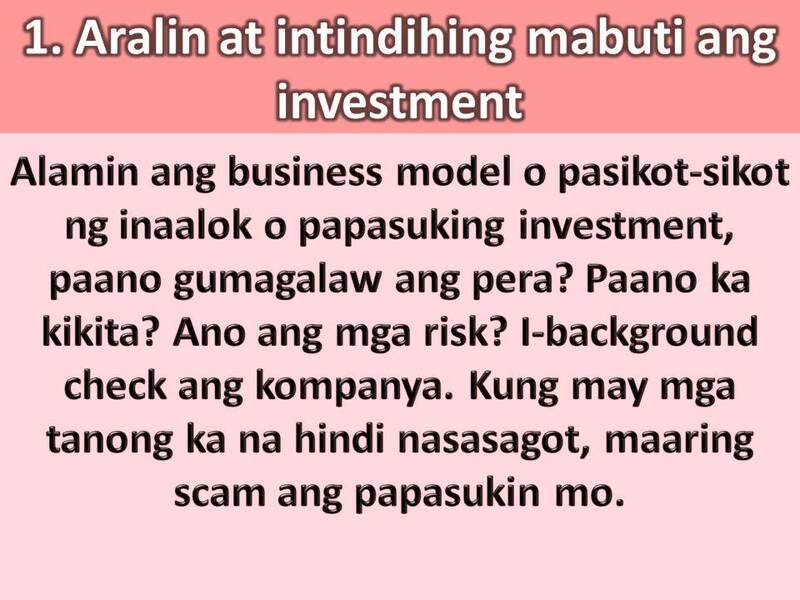 Former OFW, Jun Amparo, a personal finance advocate and a founder of Richly Blessed Today gives five practical ways on how to tell if an investment scheme is a scam. 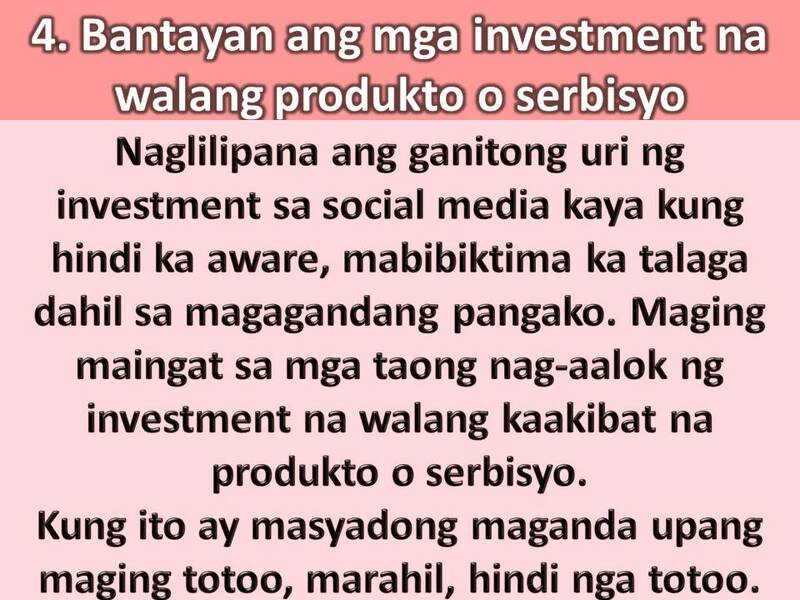 This is important as a guide to financial decision in the future not only for OFWs but to everyone who aims to be financially stable. Before putting your money into an investment, it is important that you know the business model. Know the business name, how it works, and educate yourself before making any financial decision. Do some background check with the company. 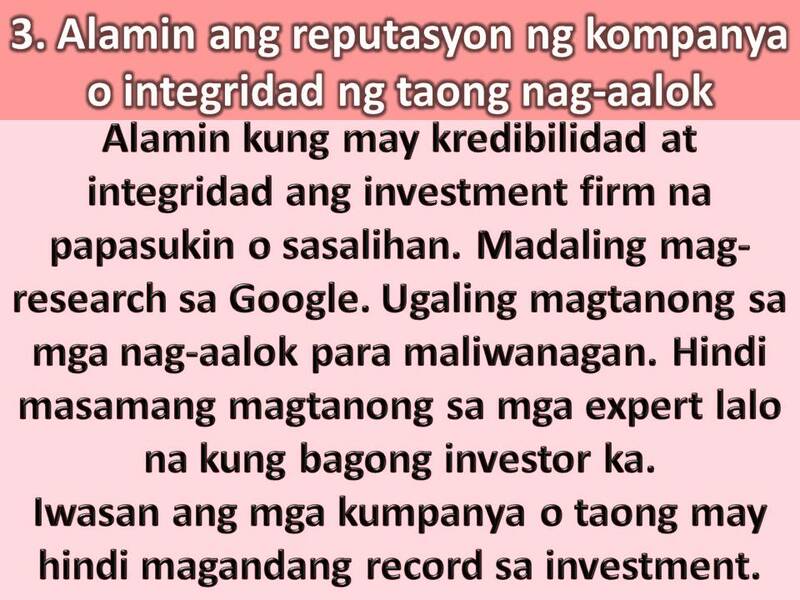 According to Amparo, "If the company has a vague investment methodology and fails to explain how you will possibly generate returns, chances are it is a scam." So, if someone invites you to a certain investment, even it came from your trusted friend, think of it a hundred times before deciding. Amparo said, "one fundamental principle of acquiring wealth is it's being built over a period of time." 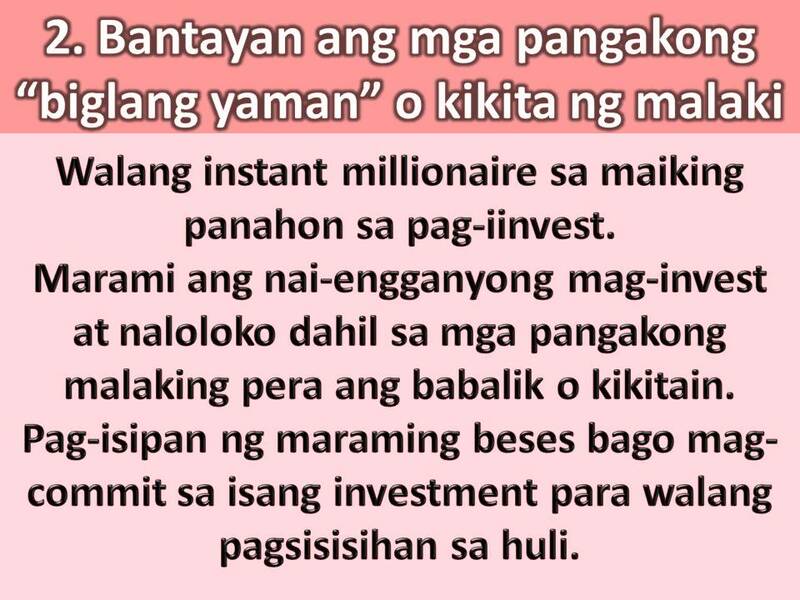 It mean's there is no such thing as an instant millionaire in a short period of time in investing. The main reason why many people are being tempted to invest their hard-earned money is that they are blinded with promising rewards or big return of money. Back to number 1, do some background check first before committing your money so you will not end up being scammed in investment. Always check the credibility and integrity of the company. Read and understand what they are offering. Ask a question to know more and to clear your doubts. The investment comes with risk but this risk can be lessened if you know what you are into. You will loose nothing if you seek advice from experts about investing especially if you are new investors. Stay away from people or company with known unethical fraud practices or records. This is the very common type of "investment" nowadays. Recruiting new members without offering products or services. Be cautious about people who are trying to persuade you to invest without certain products or services involved. Does it have a permit to operate? How will I know as a new investor? Here in the Philippines, you can check it with the Securities and Exchange Commission (SEC). Also, you can search the internet regarding the investment being offered to you. There are public advisories and warnings about fraudulent investment schemes and companies you know about.